With Ubisoft’s upcoming Rainbow Six: Siege slated for a release in less than a month, the French developer released its post game launch strategy, and it’s a game changer. That’s not all though; a lot content will be accessed through playtime, instead of micro transactions. Ubisoft says they want to find the middle ground between rewarding players, and still letting gamers who don’t have as much spare time to level up to still make in game purchases. Their solution is to break up content into tiers. Items in Tiers One, Two and Three can be accessed through the in game currency Renown, while Tiers Four and Five can only be purchased. 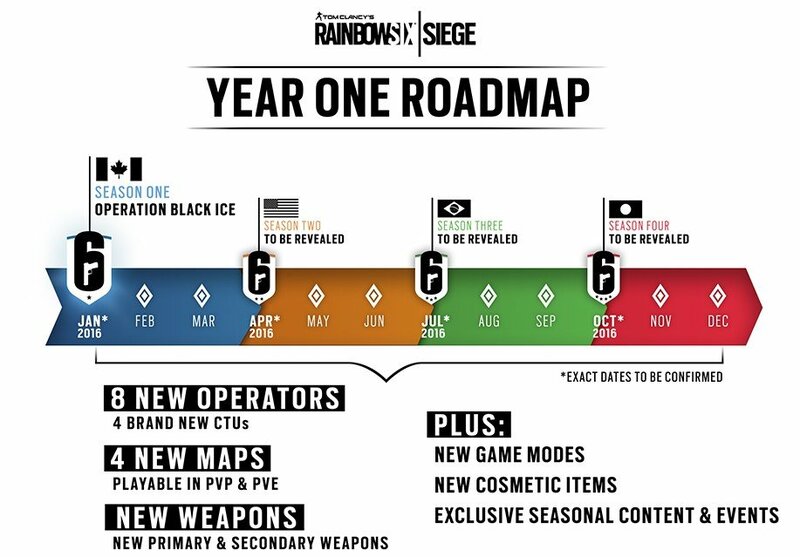 The first bit of DLC will include one map, two new operators, new weapons skins, and some other gameplay upgrades. Gamers can expect this within the first few months of next year.